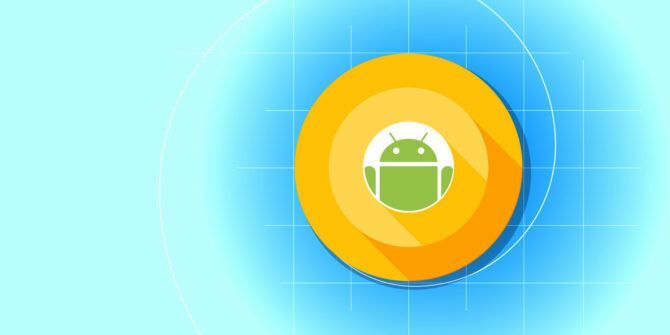 Google has released the developer preview of the next version of Android, tentatively titled Android O. As with any major upgrade, some new features stand out. And you don’t have to wait to get your hands on them. Right now, the Android O Developer Preview is available only for select Nexus and Pixel devices, specifically the Nexus 5X, Nexus 6P, Nexus Player, Pixel C, Pixel, and Pixel XL. But if your device isn’t listed, you can get some of its best features through third-party apps. Android O brings two cool interactions to notifications. You can snooze a notification How to Save Notifications in Android and Set Reminders for Them How to Save Notifications in Android and Set Reminders for Them Never miss a notification again by using one of these apps. Read More so that it goes away right now and comes back in 15 minutes or a specified time limit. You can also make “notifications channels”, which is a fancy way of saying you can group certain apps under one notification header. For example, you can put all your different messaging apps under one “Messengers” channel. So instead of five different notifications, you’ll only see one notification. Tap it to reveal the others. Snowball is a free Android app that already gives you these features. Snooze in Snowball works exactly like you would expect it to. It can’t yet “group” messages together, but it has a similar way to ease distractions. You can hide notifications from certain apps. And you can prioritize apps so that important notifications show up at the top of your Notifications pane. Right now, your notifications are chronological. Arranging them by importance makes sure you don’t miss something. You’ve seen these on iPhones and even on some custom Android skins Android Skins Explained: How Do Hardware Makers Change Stock Android? Android Skins Explained: How Do Hardware Makers Change Stock Android? Hardware makers like to take Android and morph it into something that is entirely their own, but is this a good or a bad thing? Take a look and compare these different Android skins. Read More . When you have unread notifications or messages in certain apps like Gmail or Twitter, you’ll see a badge on the icon. The badge counts how many unread notifications or messages you have. 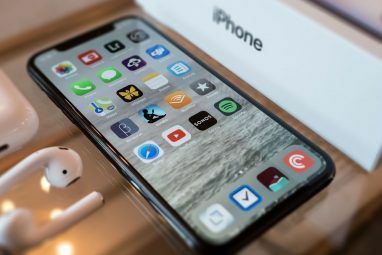 It’s one of the cool things about iPhones that is missing in Android What It Would Take for This Apple Fan to Switch to Android What It Would Take for This Apple Fan to Switch to Android There's a reason I'm using an iPhone instead of an Android. Here's what could make me switch. Read More . Well, Android O offers it as an option. You can enable it on a per-app basis through the app’s settings. Notifyer already offers this for several apps on Android. It doesn’t work with every app, but it supports the most popular apps. Notifyer basically replaces your app’s icon on the homescreen with a widget. This widget shows the unread count and launches the app with a tap like you always would. Simple and easy. Here’s another feature that you have seen on iPads and custom Android skins already. If you’re watching a video, Android O lets you continue watching it as you switch apps. It’s kind of like a floating video player, so you can keep watching while you use another app. You can already do this to an extent with the split-screen mode in Android Nougat or by replicating Samsung’s multi window mode Get Samsung's Multi Window Feature On Any Android Device Get Samsung's Multi Window Feature On Any Android Device All new Samsung Galaxy devices come with Multi Window, an awesome feature that allows you to run multiple apps at the same time. But how do you get this on a non-Samsung device? Read More . Dock the video to the permanent split part, and use your app in the other part. On older phones, a few apps will give you something similar. For example, Floating Tube replicates this for YouTube. The Float Video Player lets you watch any video in a floating window. And Flyperlink is a decent floating browser for other needs. Android O comes with a new and improved file explorer and manager. It uses the Material design language to look attractive, and it adds some new features and options. That said, it is no match for many of the best Android file explorers ES File Explorer: Is It the Best File Manager for Android? ES File Explorer: Is It the Best File Manager for Android? Is EF File Explorer the best option for viewing and managing the files on your Android device? Read More . If you want the closest thing to what you get on Android O, try Solid Explorer, which looks quite similar. It has all the features from Android O’s explorer and then some. Finally, Android O lets you add shortcuts to your favorite apps on the lock screen. So far, it has been a baffling omission on Google’s part, requiring unnecessary steps to launch an app. And no, you absolutely don’t have to wait for Android O to do this. Remember, you can install snazzy lockscreen replacement apps for Android 3 Best Free Lockscreen Replacement Apps For Android 3 Best Free Lockscreen Replacement Apps For Android Calling all Android tinkerers! Are you tired of looking at the same, boring screen every time you wake up your phone from sleep? Why not customize it and breathe new life into your phone? Read More . Download Start, one such lock screen replacement, and you’ll be ready to go. It has a simple setup to add shortcuts for your favorite apps to the lock screen. Swipe or double-tap the app on the lock screen to launch it. You’ll also get similar functionality with GO Locker. Currently, on the homescreen, you need to swipe up from the navigation bar to launch the app drawer. In Android O, you can swipe up anywhere on the homescreen to get to your drawer. It’s a small change, but I’d say forget about it and download App Swap. With App Swap, you can access your app drawer from anywhere on your phone. It doesn’t matter if you have a phone with a physical physical keys or the virtual Android navigation bar. Long-tap the home button or swipe up from it, and App Swap will launch the app drawer. 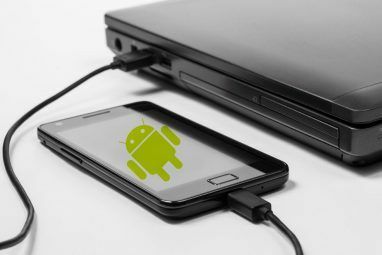 It’s probably the easiest way to find and launch apps Top 5 Ways to Find & Launch Applications on Your Android Phone Top 5 Ways to Find & Launch Applications on Your Android Phone Find your apps quicker and easier with these tools. Read More . For those who use the on-screen navigation bar, you’ll love this new feature in Android O. You can now add two extra buttons to the navigation bar, on the left and on the right. 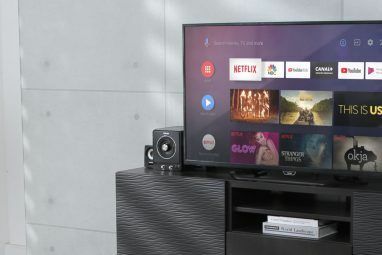 These will be system settings, not app shortcuts. So for example, you can add a button to switch keyboards faster. This is the only Android O feature that requires you to root Android and install the Xposed framework Customize Your Phone Without Flashing a ROM With The Xposed Framework Customize Your Phone Without Flashing a ROM With The Xposed Framework It is common knowledge that the best way to customize your Android device is to flash it with a new ROM. It is also wrong. Read More . Then you’ll need to install the GravityBox Xposed module GravityBox Vs XBlast: Which Is The Best All-Purpose Xposed Module? GravityBox Vs XBlast: Which Is The Best All-Purpose Xposed Module? Out of the two great all-purpose Xposed modules for customizing your rooted Android device, which is the best? Read More . GravityBox customizes the navigation bar by adding extra functions to the existing three keys. You can’t add more buttons, unfortunately, but adding shortcuts like long-press and swipes is a decent first step. While these apps are a glimpse at what lies ahead, they are not exactly what Android O promises. Some of them are a pale shadow. And there aren’t apps that can replicate all the new features. For example, one big improvement in the next version is the battery-saving mode. Google is restricting the background activity of apps that you aren’t immediately using. This will result in a significant boost in battery life, probably more than Android Marshmallow’s Doze Mode How to Improve Battery Life on Android 6.0 Marshmallow How to Improve Battery Life on Android 6.0 Marshmallow Battery life is finicky, but with this trick, you can squeeze a lot more out of your Android 6.0 Marshmallow device. Read More . However, you can’t use an app to get that right now. Which Android O Feature Is Your Favorite? Which feature of Android O do you find most exciting? Something like the background restrictions is excellent and much-needed, but it’s not exciting, is it? Personally, I’m looking forward to adding extra buttons on the Navigation Bar. A quick-switch for keyboards would be excellent, given the number of amazing and useful Android keyboards these days. What are you looking forward to? Explore more about: Android, Android Customization, Android O.
Hi, Snowball it's not working, it gives an error during the registration process. Is there any other alternative?